The Parliament of Georgia is working on the text of the amendments to the Law of Georgia on Broadcasting. 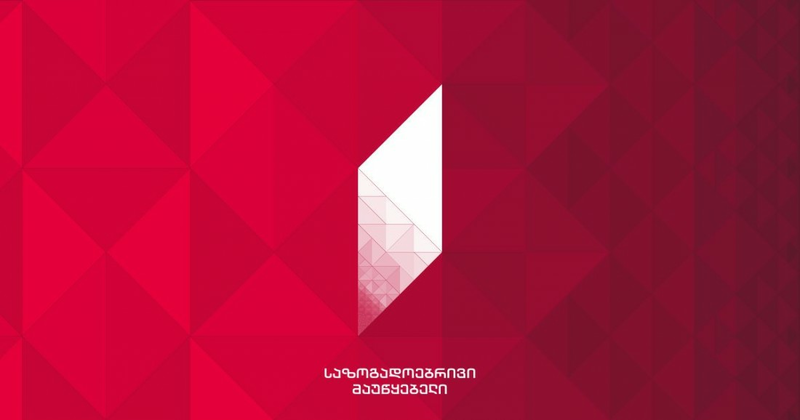 According to the amendments, the Georgian Public Broadcaster (GPB) will be free from the obligations established by the Law on "Public Procurement" when purchasing certain products and services. In case of adoption of the amendment the accountability of the broadcaster will be under question, as well as the quality of public procurement carried out by GPB. Due to such developments, IDFI got interested in the state of public procurement of the GPB of the current year (2017). IDFI analyzed data on public procurement of GPB from January 1, 2010 to date (not including Adjara Public Broadcaster procurement). The purpose of the data analysis was to identify the efficiency of the public broadcaster in the field of public procurement. Efficiency in state procurement is measured by different criteria, including savings, number of tenders, frequency of direct procurement, level of competition in tenders. According to the information on the public procurement website, in 2017, GPB plans to spend 13,525,188 GEL (equivalent of USD 5,520,484) on procurement. This amount is 30% of the GPB's 2017 budget. Statistical data showed that there are no significant negative trends in GPB’s procurement, but the problem still remains a low number of participants in electronic tenders. During the monitoring period, the GPB announced 58 electronic tenders. 43 of these tenders have already been concluded (see Figure # 1). 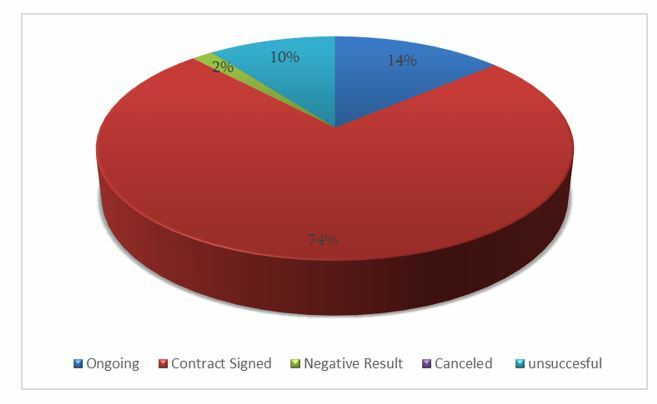 It should be noted that in total, only 14% of the tenders of the Broadcaster were unsuccessful (10% were due to the absence of candidates; in 4% of the cases qualified supplier was not identified). At the same time, the GPB has not cancelled any tender yet. For comparison, share of unsuccessful and failed tenders on national level has been 35% of announced tenders (since 2011). Of course, 4 months are left until the end of the year and a more accurate picture will appear once the annual procurement plan will be implemented. During 9 months of 2017, the GPB planned to spend GEL 7,377,709 (sum of estimated costs) via public procurement, but after electronic tenders were conducted, spending amounted to GEL 6,547,359. Accordingly, during 9 months, the GPB saved 830,350 GEL through electronic tenders, which amounts to 11.25% in savings. 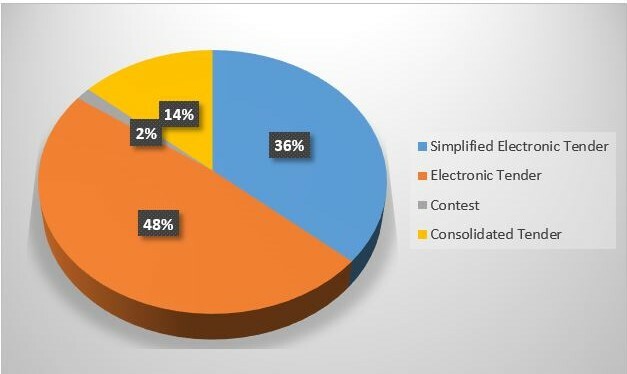 From the announced tenders, the most common was electronic tender (which generally requires more than 10 days to complete) and then simplified electronic tender (which is a short-term procedure and does not exceed 5-6 days). The GPB has not yet used a two-stage tender where price-quality criteria are determined (see Figure # 2). The volume of direct procurement is still high, but most of the direct procurement was carried out within the monetary thresholds (purchasing services, goods or work, which is less than GEL 5,000). Overall, 484 agreements have been signed. Among those contracts, only 4 exceeded the GEL 5,000 monetary threshold. The maximum amount of those contracts was GEL 10,000. From 2015, procurers are obliged to take permission from the State Procurement Agency before they make direct procurement. This process shows what the underlying causes of direct procurement are. In the case of the Public Broadcaster, the most frequently used grounds for providing services and goods, as well as the performance of the work is - exclusive right. One of the most severe problems in case of GPB is the low participation of suppliers in tenders. Over the course of the monitoring period, GPB tenders had an average participation of 2.34 candidates, which is quite low. There were cases when high activity was seen - 6 and 8 participants, but only a handful (see Figure # 3). (Electronic Tender - № 170010059) - Procurement of video cameras and video cameras. (Electronic Tender - № 170010032) - Procurement of 20 units of 3rd class high passenger cars (jeep) with scheduled paid services within the terms of the accompanying guarantee conditions. Winner - GT Motors Ltd.
During 9 months of the current year, the GPB’s procurement does not indicate substantive shortcomings. Direct procurement in most cases was carried out in accordance with the monetary thresholds. Within 9 months, the Broadcaster saved GEL 830,350, which is 11.25% savings through electronic procurement procedures. Among the problems are the low rates of participants in tenders announced by the Broadcaster, as well as the negligence of using a two-stage tender. This information once again emphasizes the importance of why the public procurement law should cover procurement of the GPB, which ensures efficiency and transparency of the activities of the broadcaster. In addition, it is worth noting that the high standard of transparency makes it possible to monitor the activities of the Public Broadcaster, which promotes public trust towards the broadcaster.